Jerusalem is an international city. No nation recognizing Israel has its embassy there for obvious reasons. America would be the only one if Trump makes the move – violating international law and creating a regional firestorm in the process, besides making Israeli/Palestinian peace more impossible than already. Israel claiming the city, “complete and united, is (its) capital” has no legal standing. East Jerusalem is illegally occupied territory. So is historic Palestine, a separate issue, Palestinians willing to settle for 22% of their original homeland. Israel wants Judea and Samaria for Jews alone, other than isolated bantustans for Palestinians – open-air prisons like Gaza. According to Republican Senate Foreign Relations Committee chairman Bob Corker, Trump intended moving Washington’s embassy to Jerusalem on day one in office, possibly his first executive move, then hesitated, concerned about the possible negative fallout. Corker said the move may still happen after consultations with regional Arab states, and once Trump’s Zionist ambassador to Israel, David Friedman, is confirmed by the Senate. Hearings are scheduled later this week. During his White House visit last week, Jordan’s King Abdullah warned Trump against making the move. Interviewed days earlier by Sheldon Adelson’s Hebrew language Israel Hayom, Trump said he hadn’t decided on moving America’s embassy. According to the report, top security officials in the Trump administration also spoke with the head of the Palestinian General Intelligence Service, Majid Faraj, to send ‘reassuring messages’ on settlements. If the report is accurate, it’s unclear whether Trump dropped the idea altogether or just delayed deciding what he’ll do, putting off a decision on whether to move Washington’s embassy for a later time. One thing alone is clear on this very sensitive issue. 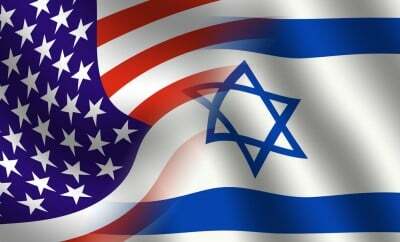 America will be isolated from the rest of the world if he moves the embassy to Jerusalem – something no previous US president was willing to do.